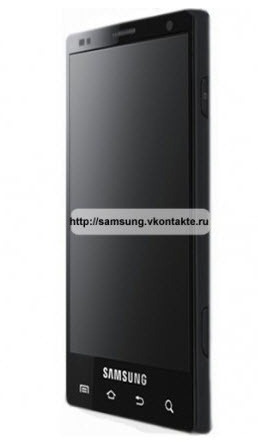 Samsung Galaxy S2 Specs Will Blow Your Brains Out ! The current generation of smartphones – with their 1GHz processors and 512MB of RAM – are already very impressive at what they can do. But rumored specifications (along with a photo) are spreading of the next generation of Samsung’s Galaxy S smartphone – the Galaxy S2 – and its specs will. freaking. blow. your. head. off. A 2GHz Processor. Possibly the next-generation version of Samsung’s Hummingbird CPU. 1GB RAM along with 4GB of ROM. This is, as with the CPU, twice the magnitude of current-gen hardware. 32GB built-in flash memory. MicroSD card slot expandable to 32GB making the Galaxy S2 able to hold 64GB of data. 8 megapixel camera with full HD (1920×1080) video recording. Current-gen smartphones record video at 720p (1280×720). GPS, Bluetooth 3.0, b/g/n Wi-Fi, accelerometer, gyroscope, proximity / ambient light sensors. While all these specifications are well and sweet, I really, honestly believe smartphone manufacturers, especially of the Android variety, should focus on increasing battery life by optimizing hardware + software instead of just blindly increasing clock speeds and doubling RAM. My HTC Desire still doesn’t last more than 15-16 hours whereas Taimur’s iPhone 4 blows past the 24 hour category without even going below 50%. Android 2.2 Froyo Update for Samsung Galaxy S is Officially Rolling Out Now! iPhone 4 Retina Display Trumps Galaxy S Super AMOLED Display in Smartphone Display Shoot-Out !